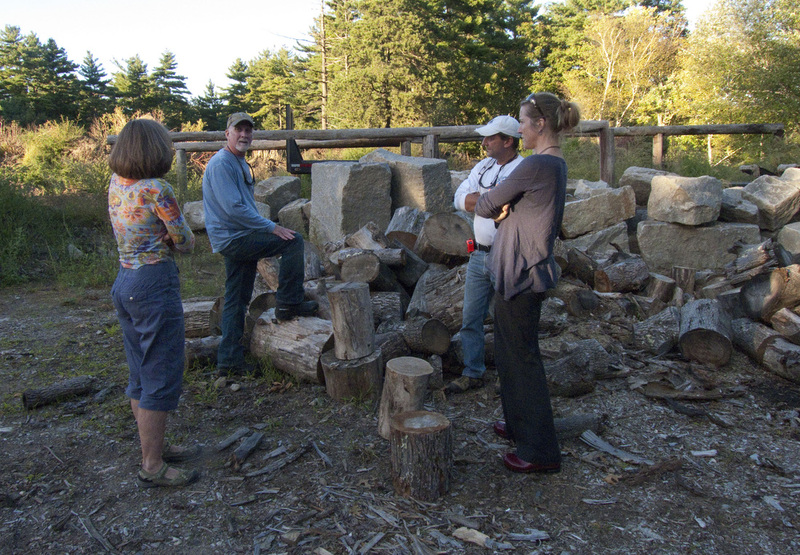 Discussing Playscape landscape materials with contractor Matt Foti at his salvage yard. 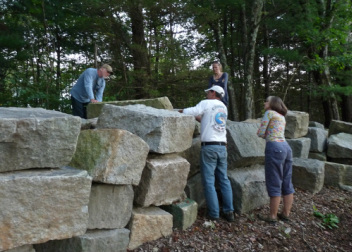 Measuring granite blocks for the Playscape entry gate threshold. Inspecting 125-year-old live oak ship timbers as possible bench material for the Gathering Circle.